The Apple TV 4K probably shouldn’t cost $179. That’s $110 more than several other 4K HDR streaming devices, including the Roku Streaming Stick+, Fire TV, and Chromecast Ultra, all of which do a decent job of playing much of the same content. But just like the regular Apple TV, which remains available for $149, the Apple TV 4K nails the little details in ways its competitors often don’t. Its apps are universally best-in-breed, its voice search is speedy and sophisticated, and its home screen is refreshingly free of advertisements. The fact that Apple’s streaming box is the only one to support Dolby Vision—a proprietary enhancement over the HDR-10 standard—is just icing. 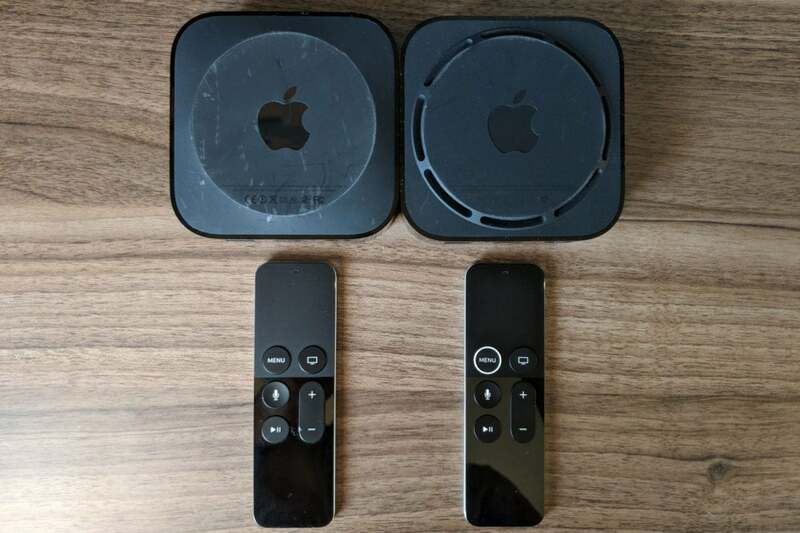 Those small details—and Apple TV 4K’s ability to perform as a HomeKit-based smart home hub, a feature this review will not focus on—don’t add up to a better value, but they do make for a superior streaming box if you’re willing to pay a stiff premium. The Apple TV 4K is still a monolithic block of black plastic, though it now sports a ring of air vents on its underside. (I never noticed any fan noise from these vents, even while playing 3D games.) The back of the box still has HDMI and ethernet ports, but the latter now supports gigabit speeds, up from 100Mbps on the previous Apple TV. Apple has also opted for the same polarizing touchpad-based remote this time around, with one difference: The menu button now has a raised white ring around it, presumably as a clue for how to hold it right-side-up. (This new remote is also now included with the $149 Apple TV.) An IR blaster is still built into the remote, allowing for control over TV volume, and the remote’s built-in battery recharges via a Lightning cable, which Apple includes in the box. The Apple TV 4K has a slight remote redesign and air vents on its underside. Count me among those who enjoy the Siri Remote’s touchpad. Though it takes some getting used to, ultimately it allows for speedy scrolling across menus and precise scrubbing through videos. And while there are no dedicated fast forward or rewind buttons, clicking either edge of the touchpad is just as useful, letting you skip ahead or backwards in short increments. I just wish the slender remote itself wasn’t so easily lost between couch cushions. The biggest change to the Apple TV 4K is its A10X Fusion processor, which is similar to the chip inside Apple’s latest iPad Pro tablets. Although the standard Apple TV’s A8 chip is no slouch, the new model feels less stutter-prone while scrolling through menus, especially in resource-intensive apps like PlayStation Vue. The new chip is also supposed to be better for gaming, though this advantage is largely a theoretical; it’s hard to find games that really push the Apple TV’s limits, and the 3D games I’ve tried look nothing like what modern consoles put out. The A10X chip’s main advantage is its ability to drive 4K HDR visuals, which are both sharper and richer in color compared to 1080p HD and standard dynamic range. 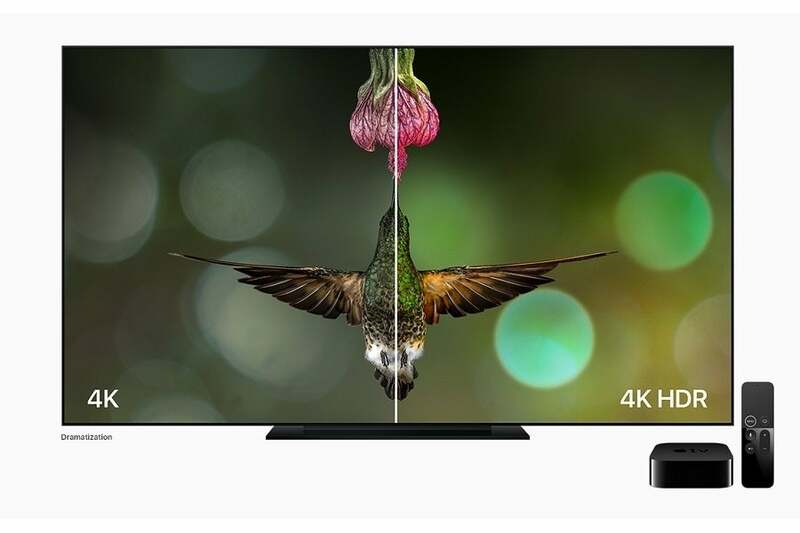 Cheaper streamers offer 4K HDR video as well, but Apple supports the format across the entire Apple TV interface, rather than just switching over when playback begins. That means colors will pop and images will look crisp even on Apple’s menus and screensavers, and your TV won’t flash a blank screen as it switches between video formats. This is a dramatization, but HDR really does make colors pop. As for the actual content, Apple has a unique pitch: Any movie you already own on iTunes will get a free upgrade to 4K and HDR if those formats are available, and all future 4K HDR movie purchases (including rentals) will cost the same as their HD counterparts. These are fine perks, though it’s worth noting that other digital movie stores, such as Amazon Video and Vudu, are starting to offer price parity for some of their catalogs as well. Meanwhile, the Apple TV 4K is squarely behind its competitors in supporting 4K HDR on other streaming services. Outside of iTunes, the only source that’s on board for now is Netflix. Apple said in September that Amazon Prime was coming “soon,” but it hasn’t arrived yet. And while YouTube offers an Apple TV app, it doesn’t stream in 4K or HDR because Apple doesn’t support the VP9 codec that Google requires. It is nice that the Apple TV 4K supports Dolby Vision in addition to the HDR-10 standard that other streaming boxes offer. But you really need to be a videophile with a Dolby Vision-enabled TV to discern the improvement, which mainly involves adjustments to color and brightness on a per-scene basis. Having more content sources like YouTube and Amazon Prime, even in HDR-10, is much more useful to a broader swath of consumers. Amazon’s Fire TV and Roku’s Streaming Stick+ support both of those services, and Google’s Chromecast Ultra supports YouTube in 4K HDR as well. 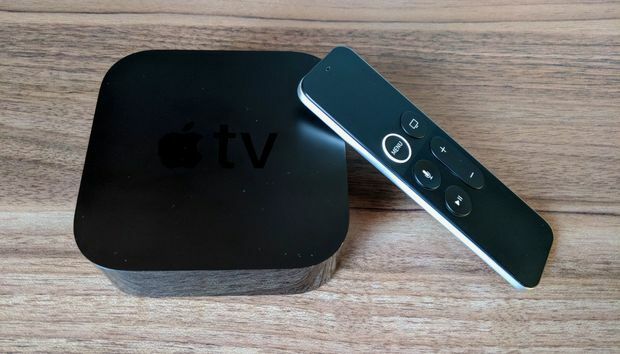 The Apple TV’s software hasn’t changed much with the new hardware, in that it still requires users to make a philosophical choice between apps and content. 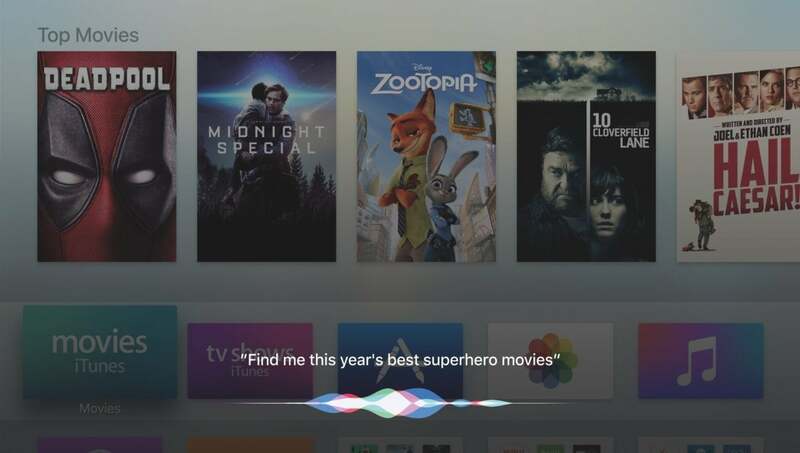 By default, pressing the Apple TV’s Home button takes you to an app called “TV,” which presents a watch list and recommendations from dozens of potential apps. Instead of having to launch HBO Go to watch the latest episode of Curb Your Enthusiasm, the TV app surfaces it directly on the home screen. A forthcoming update will also add live news and sports to this menu, from apps like ESPN, MLB, Bloomberg, and CNN. The TV app aggregates content from dozens of streaming sources. 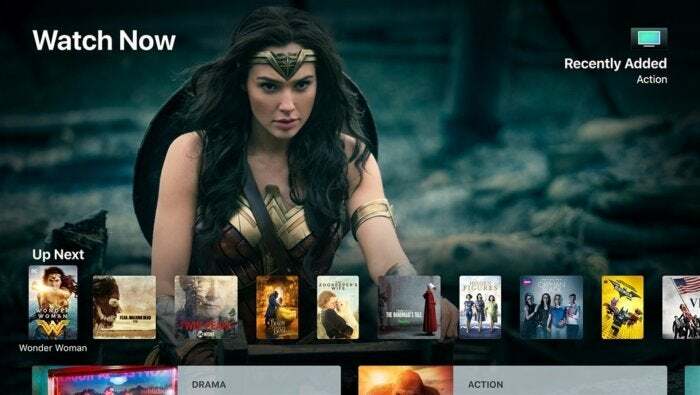 While the concept makes sense, a lot of apps still don’t support Apple’s system, including Netflix, and other apps like YouTube and Twitch offer content that doesn’t fit neatly into the TV and movie paradigms that Apple is focusing on. That means you’ll often have to press the Home button a second time to bring up the Apple TV’s conventional app launcher. Tap too quickly, however, and you’ll bring up the Apple TV’s recent app switcher instead. There’s a decent chance you’ll get frustrated with these dueling menus, and decide to just unmap the TV app from the Home button entirely. But even if you do abandon Apple’s more high-minded TV interface, the Apple TV 4K still has plenty of clever flourishes that set it apart from other streaming services. Setup, for instance, is a breeze if you have an iOS device handy, since Apple TV can collect account and network data when the devices are in close proximity. The Apple TV also automatically recognizes the type of television it’s plugged into and sets the appropriate IR commands for volume control. An iPhone or iPad can even help out with typing, with a prompt to open a keyboard whenever the Apple TV is in a text entry field. And as with previous Apple TV models, AirPlay remains a handy way to send videos, music, and photos to the big screen. Meanwhile, Siri remains one of the most useful voice assistants on TV boxes today. It can handle complex queries (“show me new comedy movies”) and follow-up commands (“just the ones on Netflix”). It can launch apps, tune to certain live channels, and jump directly into certain live sporting events. It can also answer basic questions (think sports scores, or the weather) and control smart home devices through Apple’s HomeKit platform. Only Android TV devices that support Google Assistant, like the Nvidia Shield, are in the same league. Siri goes beyond the basic title and actor search with support for complex queries. Third-party apps on Apple TV also tend to be equal to or better than other platforms, with smooth animations and transitions as you zip through their menus. Several new streaming services—DirecTV Now, Hulu with Live TV, and Twitter among them—have also targeted Apple TV in their initial rollouts. And some sports apps, such as ESPN and MLB, have offered split-screen game views as an Apple TV-exclusive feature. Perhaps best of all, Apple doesn’t lard up its menus with ads and other sponsored content, like Amazon and Roku do. That leaves more room on the screen for actual content, and it makes the experience feel classier overall. The problem is that most of those pleasantries don’t matter once you’ve chosen something to watch. The actual act of playing a video—the thing you’ll spend nearly all your time doing on a streaming box—is almost the same on Apple TV as it is on a Fire TV, Roku, or Chromecast. And for the price of a single Apple TV 4K, you can buy two of those other streamers, and still have $40 left over to binge on movie rentals. So should you buy an Apple TV 4K? That depends how much you’re willing to pay just to shave off a few rough edges. Want another opinion of the Apple TV 4K? Here's what our colleagues at Macworld think of it.